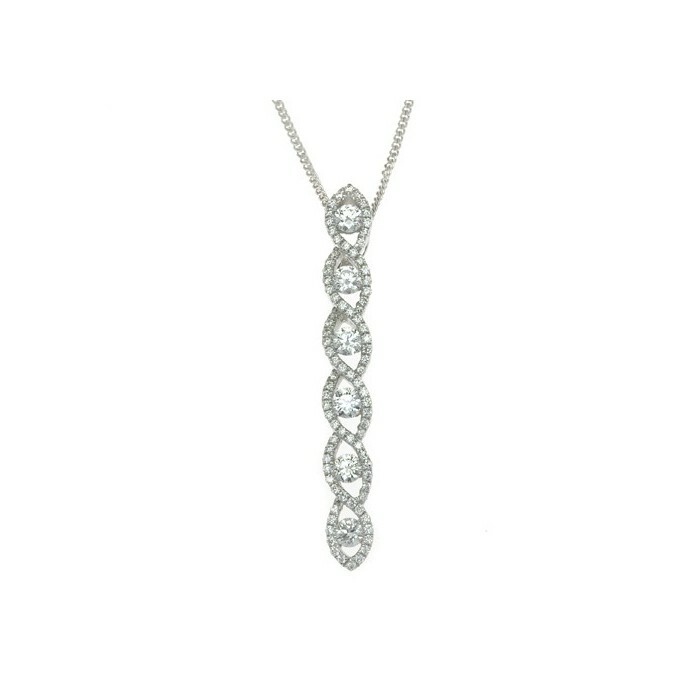 Six fully cut round diamonds intertwined with smaller pave set diamonds. 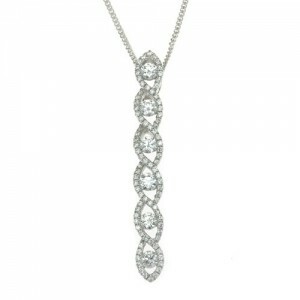 This pretty pendant is 30mm high and comes complete with a 16 to 18 inch extender chain. All in 18ct white gold.